Now wait is over, Nokia has successfully released its latest 'Android' operating system based Smartphone at Mobile Word Congress 2014 (MWC14). The three new Android powered devices from Nokia named Nokia XL, Nokia + Plus and Nokia X is also a Dual SIM smartphones. Let's find out more with official hands-on Review of Nokia XL 'Android' Smartphone Specifications, Features, Availability and Price details. Nokia XL mobile operating system version is based on Android v4.1.2 (Jelly Bean) exclusion of Google services like Google Play Store etc. Nokia XL Graphical User Interface (GUI) is quite similar with Windows Phone UI, Android UI and Nokia Asha UI, so buyers will able to enjoy three different mobile OS UI i.e. 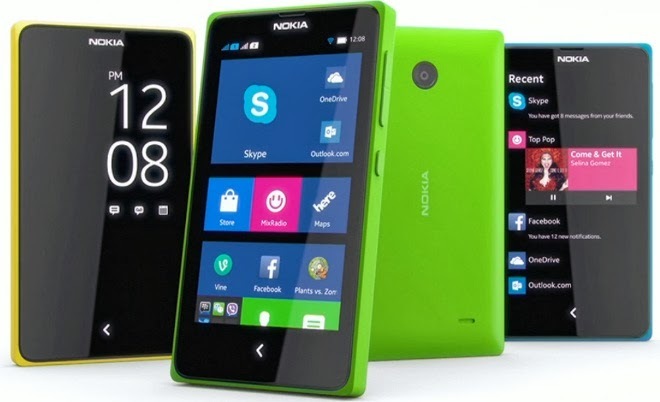 Windows Phone, Android and Nokia Asha with single smartphone. Nokia XL technical hardware-software specs and features are quite impressive; Display - 5.00-inch, 480x800 pixels, Processor - 1GHz dual-core Qualcomm Snapdragon 8225, Front Camera - No, RAM - 768 MB, OS - Nokia X platform 1.0 based on AOSP 4.1.2, Storage - 4GB + SD Card support upto 32 GB, Rear Camera - 5-megapixel, 720p recording, Front camera - 2megapixel, Battery - 2000 mAh etc. Nokia XL is 3G certified smartphone and comes with Nokia apps like Turn-by-turn navigation, Nokia MixRadio, Here Maps for offline. Below you can watch full official video review of Nokia XL. 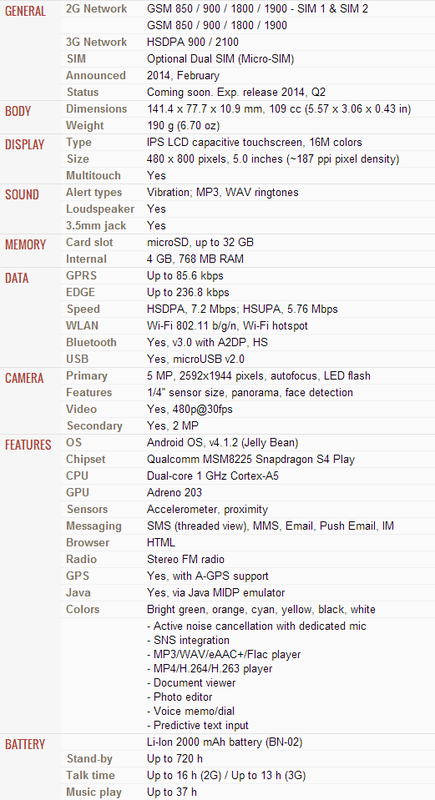 Below you can read full specification and features of Nokia XL. The official price of Nokia XL is approx. €109 Euros Or $150 Dollars and release date of Nokia XL is Q2 2014 and it’s officially available to buyers worldwide including Asian developing markets such Pakistan, India etc.